French president Nicolas Sarkozy has confirmed that India will buy 126 French-made combat aircraft in a massive 12 billion US dollar deal. Speaking in Paris, Sarkozy said that the deal would increase the might of the world’s fourth largest air force and called the deal a "great success". India has become the world’s biggest arms importer as an economic boom has allowed it to push the modernisation of its military. 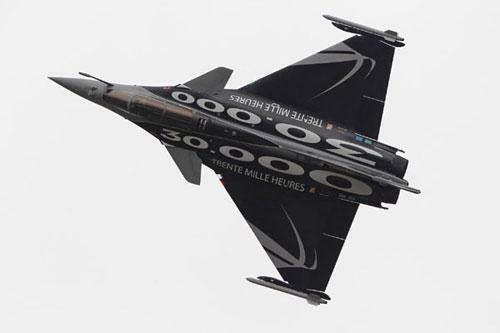 Air Show at the Le Bourget airport near Paris in this June 21, 2011 file photo. As a result, major arms manufacturers are wooing the country as it replaces its obsolete Soviet-era weapons and buys new equipment. So far, India’s air force has around 700 fighter aircraft. 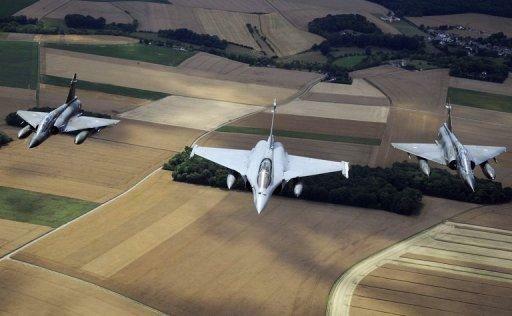 French Rafale jets fly above western France last year. 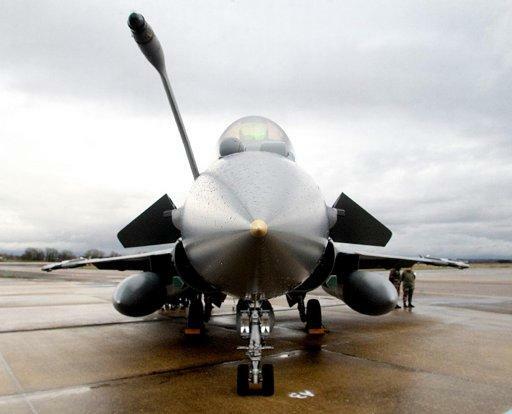 A Dassault Rafale fighter jet in Saint-Dizier, eastern France.